Lost keys to new keys. 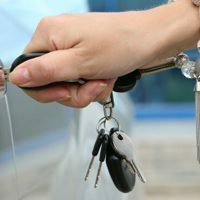 Emergency lockouts always done with our fast response to get you back in your car, truck or RV. We have the lowest prices in town for any auto lockout. Never any extra money for night-time calls! Always be careful while choosing a locksmith, some fly-by-night locksmith’s so to say will tell you one price on the phone and then charge you another when they are finished with the job. If you need a locksmith please call us. AAA Locksmith will Never Let You Down!